Ready to hit the roads – or the racetrack? Explore our lease deals and specials here. Then, when you’re ready, complete this easy-to-use apply for financing form. This secure form asks basic questions, and allows us to give you a great offer on your favorite luxury vehicle. There is No Substitute for this one of kind build! Lots and lots of deviated stitching! Equipment Includes: Color Selection for Deviated Stitching Steering Wheel Rim Stitching in Deviated Thread Front and Rear Seats with Deviated Stitching Dashboard with Deviated Stitching Upper Door Panel with Deviated Stitching Rear Side Panel Stitching in Deviated Thread Center Console Lid Stitching in Deviated Thread Door Center Panel with Deviated Stitching Door Armrest with Deviated Stitching Door Grab Handle with Deviated Stitching Carrara White Metallic Seat heating Adaptive Cruise Control (ACC) Lane Change Assist (LCA) 20" 911 Turbo Carbon Fiber Wheels Heated Multifunction Steering Wheel Preparation for Rear Logos Painted Seat ventilation Luggage net in passenger footwell Smoking package Porsche Entry & Drive Light Design Package Steering Column Casing in Leather with Deviated Stitching Sport Seats Plus Backrest Shells in Leather with Deviated Stitching Burmester® High-End Surround Sound System Leather interior in Black Front Grille Slats and Rear Outlet Slats Painted Air Vent Surrounds and Slats in Leather PORSCHE and "911 turbo S" Logos Painted Dashboard trim package in leather Aerokit Turbo Painted in High Gloss Black Rear Side Air Intakes in High Gloss Black Lower Trim of SportDesign Exterior Mirrors in High Gloss Black LED Headlights in Black with Porsche Dynamic Light System Plus (PDLS+) Sport Chrono Stopwatch Dial in White Porsche Crest on headrests Steering Column Casing in Leather with Deviated Stitching Extended Deviated Stitching Interior Package Door Sill Guards in Carbon Fiber, Illuminated Tinted Taillights Porsche Minneapolis has achieved the honor of Porsche Premier Dealer status for two years in a row! This designation is awarded to the top 25 Porsche Dealers in the United States. Our award winning staff looks forward to serving you! Why Lease or Finance a Porsche 911 from Porsche Minneapolis? 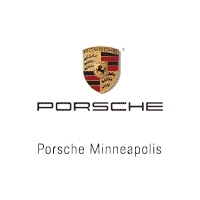 There are plenty of reasons why Bloomington drivers choose Porsche Minneapolis for their luxury automotive needs. Not only do we have a vast inventory of new Porsche vehicles, but we also have a diverse selection! Beyond our inventory, we also offer a rotating panel of lease deals and finance offers. And when you want your Porsche to look spick and span, you can rely on our detailing services. Once you’ve decided to move forward with leasing or financing your next Porsche, contact us today by completing this secure form. In the message box, simply list your preferred Porsche model, your interest in scheduling a test drive, or any other pressing information. We’ll respond to your inquiry promptly.